To thrive in the rising competition and to boost its sales, Motorola has come up with an offer. 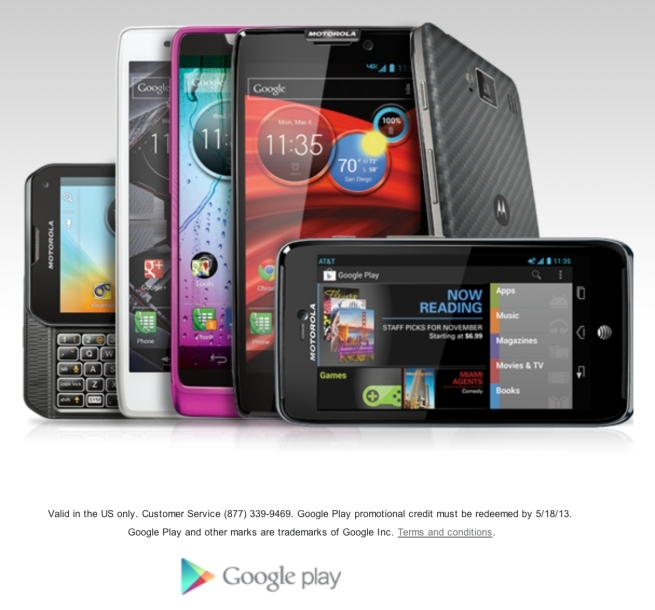 You get $50 Google Play app credit with the purchase of a select choice of the models promoted by Motorola. The offer ends by this March 4th so hurry up.